Dry cleaning is a demanding business. To succeed in this business, you must not only put in long hours at a storefront and deal with all kinds of people but also provide quality services and maintain profit margins. To turn a profit as a dry-cleaner, however, you need to differentiate yourself from competitors, establish a good reputation as a brand, and achieve a competitive advantage. In short, you need to carve out a place in your marketplace. The key to doing this is by providing exceptional customer service—the kind of customer service that builds trust in local buyers promotes word of mouth advertising and boosts customer loyalty by meeting patrons’ needs and expectations. Point-of-sale software solutions, like Enlite’s POS, can help you provide that kind of customer service by boosting storefront efficiency and productivity—all while minimizing operating expenses. But POS solutions work best when supported by the right pos hardware. Below we discuss some of supporting hardware you’ll need to unlock your POS system’s full potential. This equipment can also help you streamline your assembly system and deliver epic customer service—the kind that keeps people coming back again and again. Your storefront’s computer is your operations hub. It does the heavy lifting in your storefront by integrating all your software and hardware systems—whether it’s an Apple (OS 10.0 and above) or PC (Windows 10). PCs come with either mouse- or touchscreen-based input devices. Touch screens offer several advantages over other input devices. The most significant are ease of use and speed. Touch-screens boost staff productivity and efficiency and help you provide exceptional customer experiences. Plus, they have a smaller footprint than mouse-based personal computers. These devices boost productivity and efficiency and enhance customer service and account management. They can also help increase profitability when combined with the right POS software solution. If you choose software like Enlite POS, using a tablet gives you an array of versatility. Use a tablet with a cash drawer and printers instead of a personal computer. You can also combine tablets with personal computers. Using tablets in other parts of your operation is possible. For instance, you could provide tablets to employees assisting in assembly while your front counter is using a personal computer. Also, you can help you boost customer service by adding a driver mobile app for routing and delivery or a customer mobile app. Together, they can help you create and add a smooth, seamless routing and delivery process that can boost customer retention. These printers are essential for identifying garments. 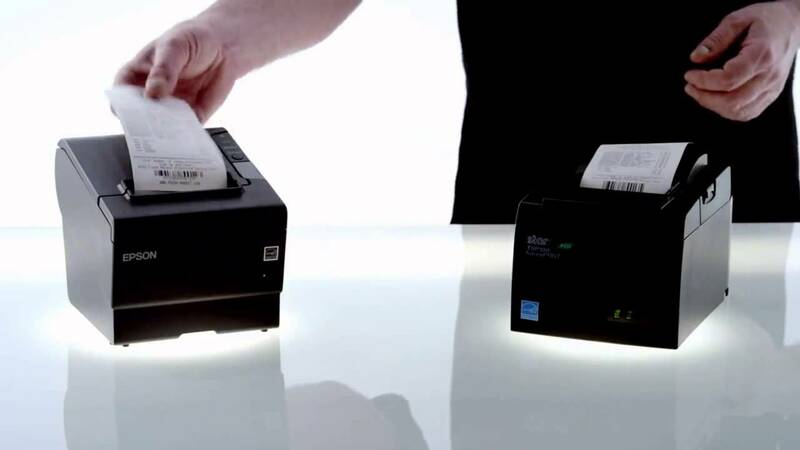 If you need to print invoices and receipts, a thermal printer will help you accomplish this. Tag printers use a special ink to print on wet strength paper. 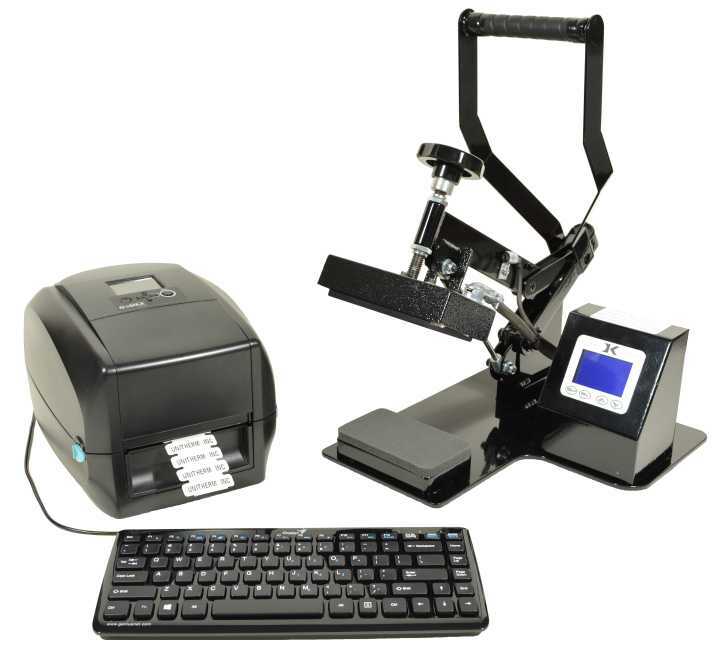 Types of tag printers include thermal transfer, direct thermal, and laser. The tags these printers produce help with garment tracking and processing. Every garment that comes into a storefront gets tagged with critical identification information, like a scheduled delivery date and time, customer remarks, and special instructions. Not every dry-cleaner use these machines. Those that do use them for tagging and tracking garments through the dry-cleaning process. Heat sealing is a process of sealing one thermoplastic to another using heat and pressure. Heat seal machines print iron-on labels with colored tabs, symbols, and barcodes to garments. When combined with POS solution, tagging speeds up invoicing and boosts productivity and efficiency. Not everyone, however, likes having these labels attached to their clothes. So when deciding to use heat seal, please keep this in mind. These devices help dry-cleaners boost productivity at the retail point of sale and in the storage room. When combined with a POS software solution, scanners help you get customers through the POS faster and more efficiently. They also help you manage and control inventory and track garments cost-effectively using the barcode label attached to the clothes. One area where this combination of hardware and POS software proves especially useful is during assembly—the identifying, ordering, and returning of customer garments. Executing this process quickly and correctly is among a dry cleaner’s biggest challenges. If done manually using a tag printer, the assembly process can be time-consuming and labor-intensive. Adding an automated conveyor system helps, but that can cost you $30,000 or more. So that solution might not be an option you. Combining a POS software with the right supporting hardware and garment tracking system, however, can create an affordable assembly solution. This approach boosts productivity and efficiency and takes customer service to the next level and minimizes operating costs. Dry cleaning can be profitable. Combining the right POS system with the right hardware and a garment tracking solution streamlines assembly, boosts productivity and efficiency and enhances customer service—all while minimizes operating expenses.